Here you can enjoy fly fishing on numerous blue-ribbon streams and rivers, with over 30 waters accessible by road (most within one hour’s drive) and countless others by helicopter. The region offers huge variety, ranging from small, intimate rivers like the Owen River, to iconic freestone rivers such as the Wairau. You may have heard New Zealand’s rivers referred to as being “gin clear”. Well, it’s true! 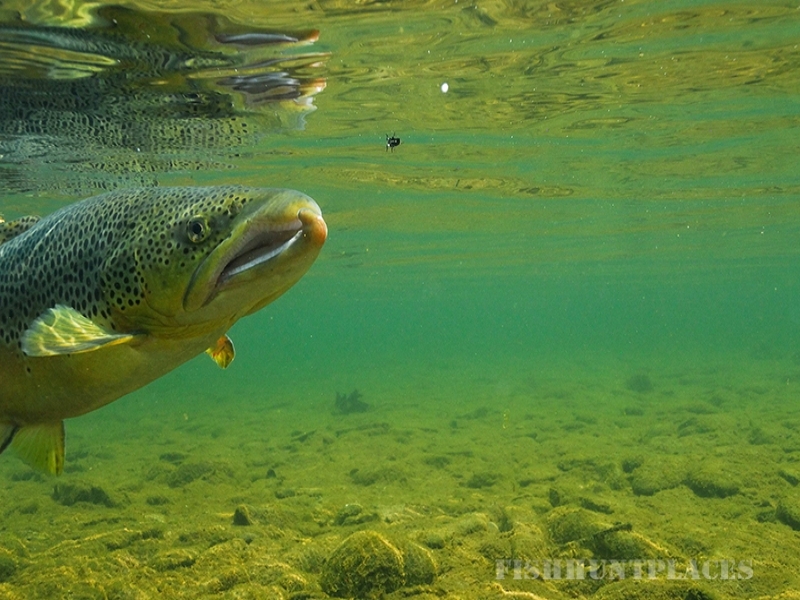 Imagine stalking a 10lb brown trout in water so clear that it looks 12 inches deep when in fact it’s up to your waist. 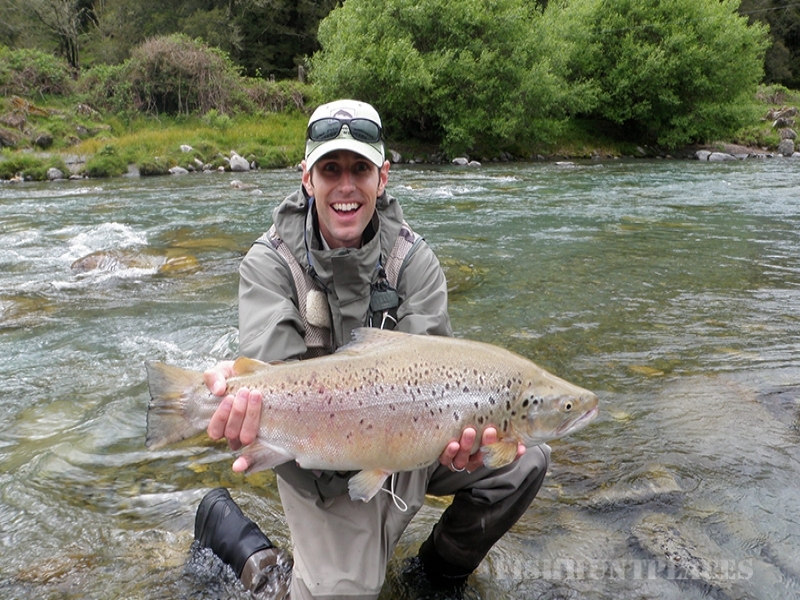 The fishing in our region involves walking and wading up stream and fishing for sighted brown trout. This means that for the majority of the rivers, you must see the fish before the fish sees you. You should use a dull-coloured fly line, long leaders and fine tippet. Unlike lake fishing, the majority of the casting you will do will be medium to short distances—accuracy being much more important than the ability to cast the complete fly line. Generally, anglers use a 5 or 6 weight rod, 9 to 10 feet in length. Simms G3 Gore-Tex waders (ladies’ and men’s sizes available),Simms Gore-Tex wading jackets, Simms Guide and G3 wading boots - size 5 up to size 14, and a large range of current model Sage rods (One, Method, Accel & VXP) and reels. 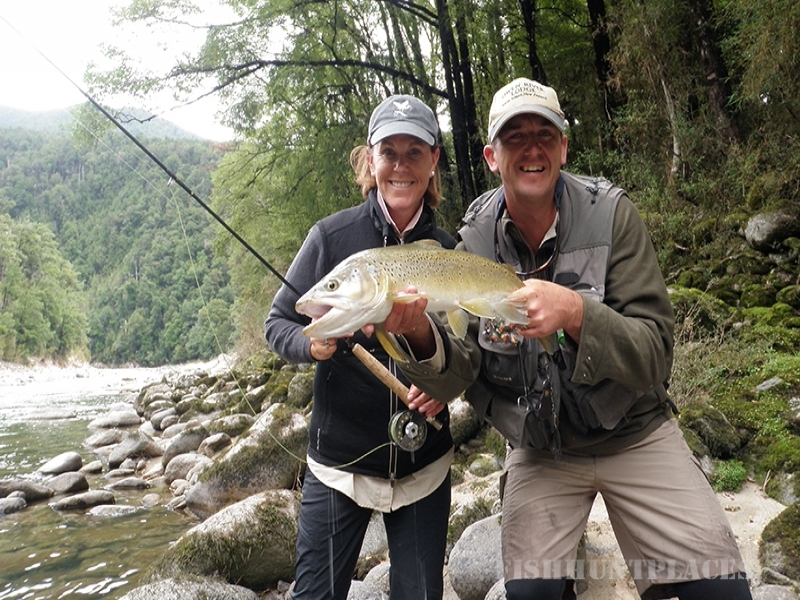 Owen River Lodge is one of only two fishing lodges in the world selected by Sage to be a fully-authorised dealer. 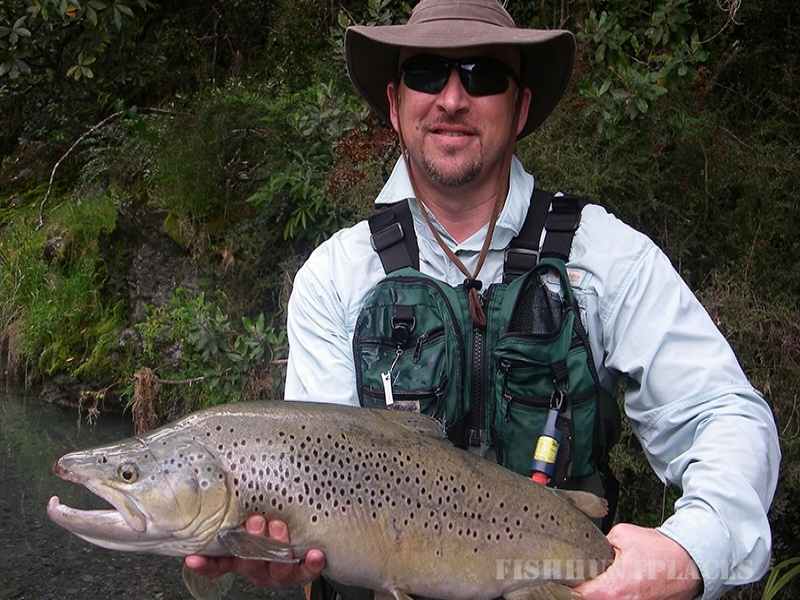 We offer a friendly, professional service for both experienced and novice fly fishers.